Desktop Wallpaper for May 2013, a photo by Gordon McKinlay on Flickr. This photo was taken two years ago on a trip out round Bass rock on the east coast of Scotland. 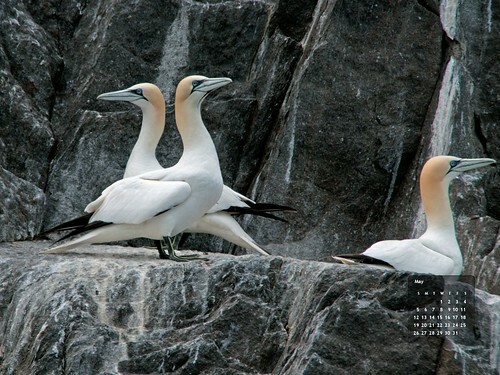 There are usually well over 100,000 gannets living on the rock so getting a photo is not too hard if you can get close enough! The wallpaper image was created with fd’s Flickr Toys. If you like the image please feel free to download and use it. This entry was posted in Professional on 5 May, 2013 by Gordon McKinlay.